Note: This recipe is just for fun! I have provided some research for reference, and used it to create a recipe to try at home. I am not a medical professional, so this information should not be construed as medical advice. if you have any specific concerns or questions, please speak to your dermatologist or doctor. I get a ton of questions about how to make homemade face masks, moisturizers, and cleansers. One question that has come up over the years is if I have any anti-aging face masks. 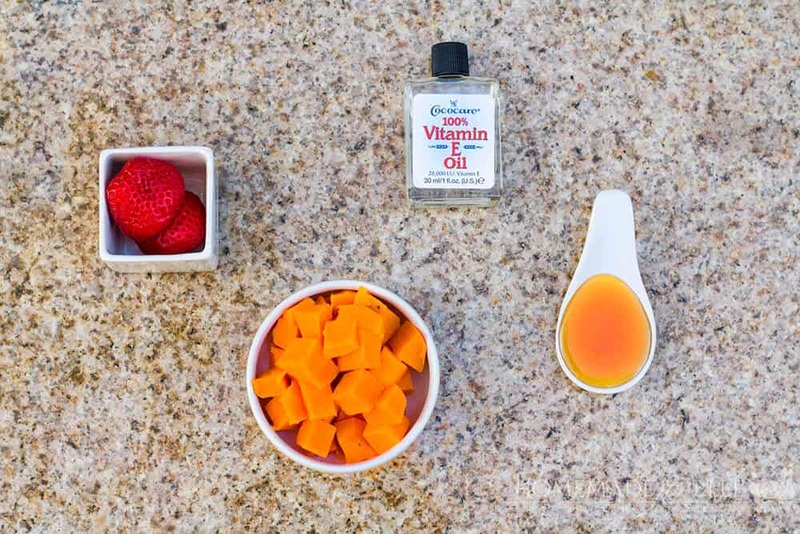 Today, I want to share my recipe for Strawberry & Sweet Potato Homemade Anti Aging Face Mask! According to research, there are two main agents that are used in anti-aging creams: antioxidants and cell regulators. Vitamin C has been proven to have skin anti-aging effects when used between a 5-15% concentration. In concentrations of 2 – 20%, Vitamin E has been shown to provide anti-inflammatory and antiproliferative (cell growth) effects. When Vitamin C is used in combination with Vitamin E, it has shown to have hither antioxidative protection than when either are used in isolation. Vitamin A, or retinol) is a commonly used anti-aging compound, and has been shown to help both extrinsic and intrinsic skin aging, while having a “strong positive effect on collagen metabolism” (source). Topical application of Polypeptides has the ability to activate dermal metabolism and simulates collagen production. 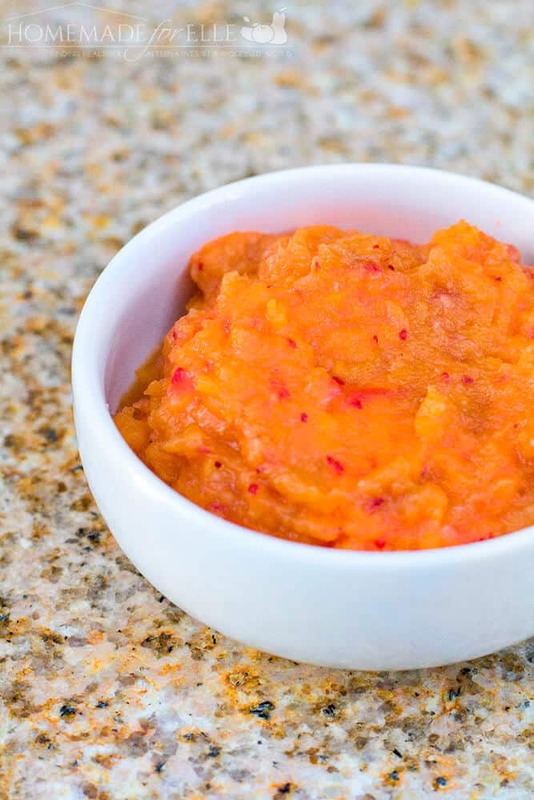 This homemade anti aging face mask incorporates foods that are high in antioxidants and cell regulators. Do you want to hang up this recipe on the fridge? Or print it out to share with a friend? Here is a printable version for you! Too busy to make the mask now? Pin it on Pinterest, so you can go back to it anytime you need it! Here at Homemade for Elle, I am all about yummy face masks! Here are a few others to try! 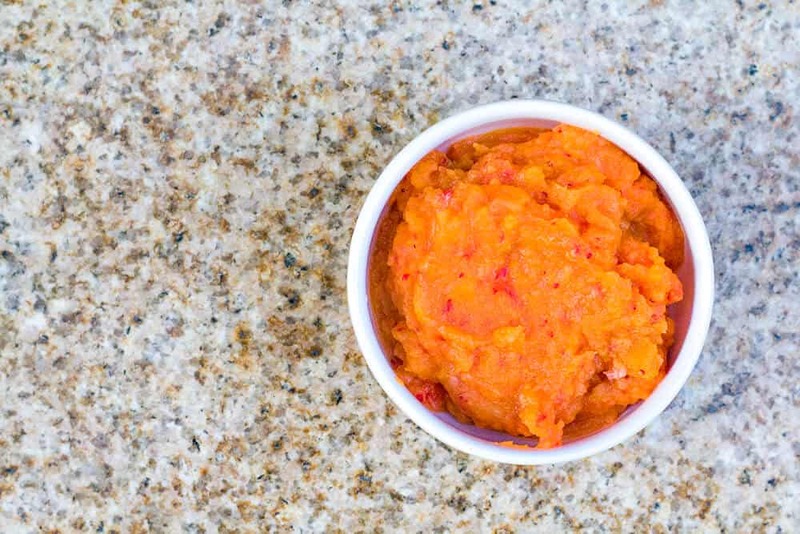 Carrot and Coconut Oil Face Mask – psst… Carrots contain a TON of Vitamin A! Homemade Strawberry and Honey Face Mask – Remember strawberries are high in Vitamin C! Chocolate Facial Scrub Recipe – Great for Valentine’s Day!